Portable air compressors have become a great deal in this era, with uses ranging from simply inflating footballs and tyres, filling of gas cylinders, to powering of pneumatic tools such as jackhammers, grinders, wrenches and paint sprayers. Operating these compressors is so easy, but for you to sustain its safety and durability, you have to follow a couple of procedures when using this device. With proper operation and maintenance, the machine will work more effectively and have a longer lifespan. 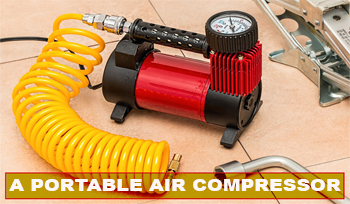 So, what is the best procedure for operating a portable air compressor? This systematic guide will teach you how to use this essential tool correctly for the best results. The assembly procedure of air compressors usually varies from one the manufacturer/model to another. The machine’s user manual usually has instructions that will guide you through setting it up correctly. This is the first and most important step to ensuring that no damages are caused by improper connections. One set up procedure that is common to all models and should be performed is connecting the compressor hose to the machine’s regulator valve. If you are new to this or have no technical knowhow on the assembly procedures, it is best to ask an expert to do it for you, or you can buy the smaller preassembled units that are ready for use. 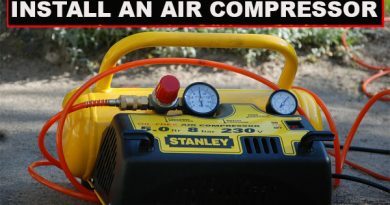 You can watch the video below as a reference on setting up your air compressor. Checking the oil level is standard procedure for every time any machine of this kind is used. The oil is what lubricates and cools the engine, thus running an air compressor with low oil level will kill the engine, which is difficult to fix and is not covered by most warranties. If the level is below the fill line, then you have to top it up and if it has been used for so long, then you have to change the oil as demonstrated in the video below. You also need to check for oil leaks and close the responsible outlets to prevent messes and reduced efficiency of the machine. You also have to check the fuel level to ensure that the machine can run for as long as you want. This prevents undeserved interruptions in between chores, to refill fuel. The most common power sources used in air compressors include gas, diesel and electricity, with a variance in terms of efficiency, cost, eco-friendliness and ease of use. To ensure that the air stays intact during compression, it is important that you close all the air outlet valves. This prevents leakage of the air, in order to keep the differential pressure of the compressed air constant. Depending on the machine’s user manual instructions, you have to make sure that the different valves are set correctly before moving on to the next step. 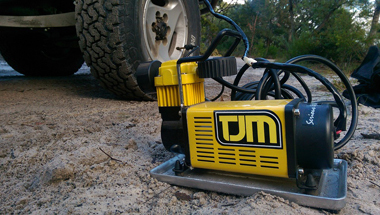 If the portable air compressor is electric, connect its cable to the nearest power outlet and switch it on. If it is not electric, then make sure that the fuel is sufficient and then switch it on. This will start the engine and its speed will increase gradually until it hits its maximum level. You should then allow the compressor to warm up for a few minutes before starting the compression of air into its tank/cylinder up to maximum pressure. You will then close the drain valve of the tank to prevent escape of air, and let it cool down for a while before stopping the engine. You can finally use it to power your tools. All you need to do is connect its compressor hose to the air inlet of the items to be inflated or the power tools, adjust the settings and release a stream of high pressured air as par your project’s needs. The portable compressor can be used to fill gas cylinders, supply clean air to divers, drive pneumatic HVAC units, power pneumatic tools like jackhammers, and power industrial processes like oxidation of petroleum. Smaller portable air compressors can actually be used for minor jobs like inflating balls, inflatable mattresses and tyres among others, as see in this video that explains how to inflate a tyre using an air compressor. To ensure effective running and durability of your air compressor, it is imperative to execute routine maintenance procedures such as monitoring, repair and replacement of its parts and fittings. 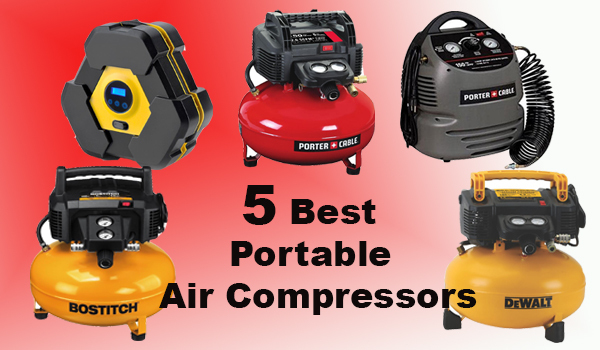 Listed below are some of the most important maintenance procedures that should be conducted whenever you want to use the portable air compressor. Checking for air and oil leakages and sealing or repairing them. Checking the condition of the air filters and cleaning or replacing them. Changing the oil whenever it gets old. Keeping the oil and fuel levels at required levels. Verifying safe temperature for operation of the air compressor in order to avoid overheating. Checking the machine’s body for dents or breakages and repairing or replacing the parts. 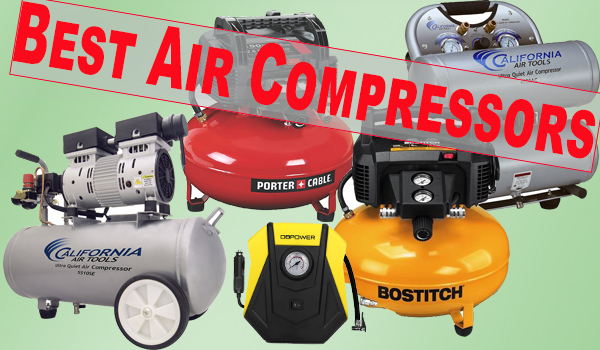 These are just but a few of what you should look out for if you own or use an air compressor. For more maintenance procedures, you need to check the device’s user or maintenance manual for instructions. Every portable air compressor model comes with varied structural and functional designs, and operating each of them may be quite different. The above steps are just general steps that apply to most compressors, but for a more comprehensive guide, you must go through the instructions in the provided user manual. When using a portable air compressor, the important factors you should consider is its power, which is indicated in Horsepower (HP) and the air intake indicated in Cubic Feet per Minute (CFM). You also need to check its capacity, putting the balance between high volumes and ease of portability into consideration. With these tips and techniques in mind, you have all it takes to be an expert at operating a portable air compressor safely and effectively.